Highlighting the 7th week of the Tanglewood schedule are the return of Conductor Christoph von Dohnányi, the wildly popular Film Night With John Williams, a program of Mozart with Bernard Labadie and jazz pianist Brad Mehldau. Conductor von Dohnányi leads the BSO Friday, August 19 in a concert comprised of Beethoven’s Symphony No. 3, Eroica; pianist Martin Helmchen in his BSO and Tanglewood debuts as soloist in Schumann’s Piano Concerto, and Schoenberg’s Chamber Symphony No. 1. The annual Film Night concert Saturday, August 20 celebrates film music arranged for violin and orchestra. 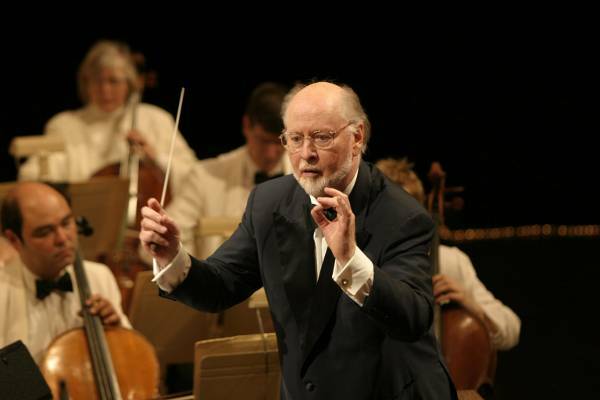 John Williams and the Boston Pops are joined by frequent collaborator violinist Gil Shaham. Also on the program will be Mr. Williams’ nostalgic evocation of early 20th-century America, The Reivers, with a special guest narrator. One of the season’s most enduring and popular traditions, the annual Film Night concert celebrates the music of the movies. This summer, John Williams is joined by frequent collaborator Gil Shaham in a program featuring film music arranged for violin and orchestra. Also on the program will be Mr. Williams’ nostalgic evocation of early 20th-century America, The Reivers, with special guest narrator. Bernard Labadie, renowned Music Director of the Canadian Baroque and Classical specialist orchestra Les Violons du Roy, makes his Tanglewood debut Sunday, August 21 leading the BSO in an all-Mozart program including the Symphony No. 41, Jupiter, Piano Concerto No. 18, K.456, and the Chaconne from Idomeneo. Pianist Benedetto Lupo makes his BSO and Tanglewood debuts as soloist for the concerto. On Thursday, August 25, Brad Mehldau takes the Ozawa Hall stage for a solo recital. Mr. Mehldau has forged a unique path, which embodies the essence of jazz exploration, classical romanticism, and pop allure. As a bandleader and in diverse collaborations with artists such as Pat Metheny, Renée Fleming, and Joshua Redman, he continues to garner awards and admiration from jazz purists and open-eared musical omnivores. Tanglewood brochures are available by sending your request to CustomerService@bso.org.